Dead Poets Society is a Terrible Defense of the Humanities | The Atlantic: For what Keating (Robin Williams) models for his students isn’t literary criticism, or analysis, or even study. In fact, it’s not even good, careful reading. Rather, it’s the literary equivalent of fandom. I admit to loving the movie, or at least to having loved the movie. After reading this piece, I find myself questioning just what I loved about the movie. But while avoiding the pitfalls of dull pedagogy, Keating doesn’t finally give his students anything in its place besides a kind of vague enthusiasm. As Dettmar does not want Dead Poets Society to be the image that people conjure up when they think of his work as an English professor, so I do not want people to think of my work as simply fostering a "vague enthusiasm" for the texts I study. Enthusiasm and appreciation are, I maintain, important elements in the humanities, broadly speaking. I have a great deal of enthusiasm for the texts I read, translate, study, and analyze. But that's just it: I do not stop at enthusiasm and appreciation. 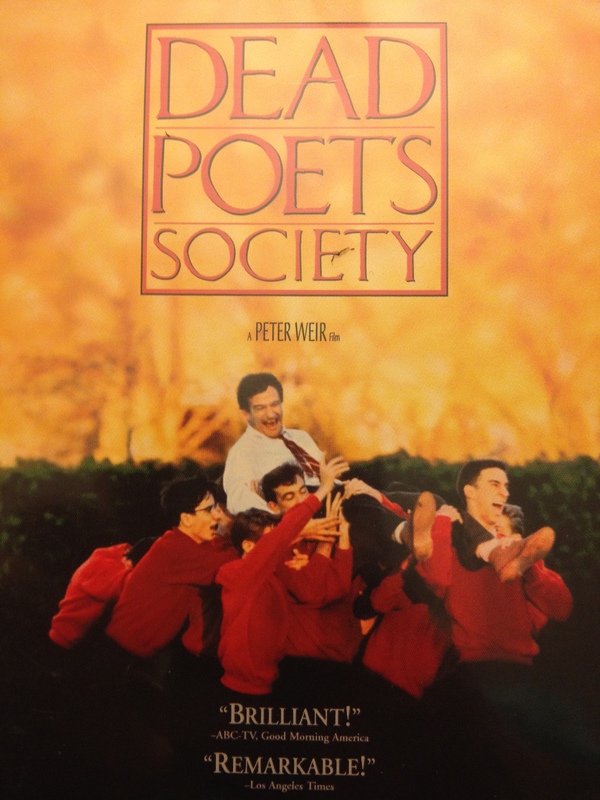 Dettmar's larger point is that the picture of the humanities presented by Dead Poets Society is detrimental on two fronts. Since it does not accurately reflect the rigorous work done in the humanities, but rather presents an anti-intellectual, anti-critical-thinking image of the field, some are able to dismiss this "sentimental humanities." Others, who have a somewhat more accurate view of the humanities dismiss them on the very grounds that they analyze too much. Neither view understands humanities professors as professional scholars. There are, to be sure, many more factors at play in the so-called "crisis in the humanities," but is Dettmar on to something here, that Dead Poets Society calls for - and prefers - "fans over critics, amateurs over professionals"?